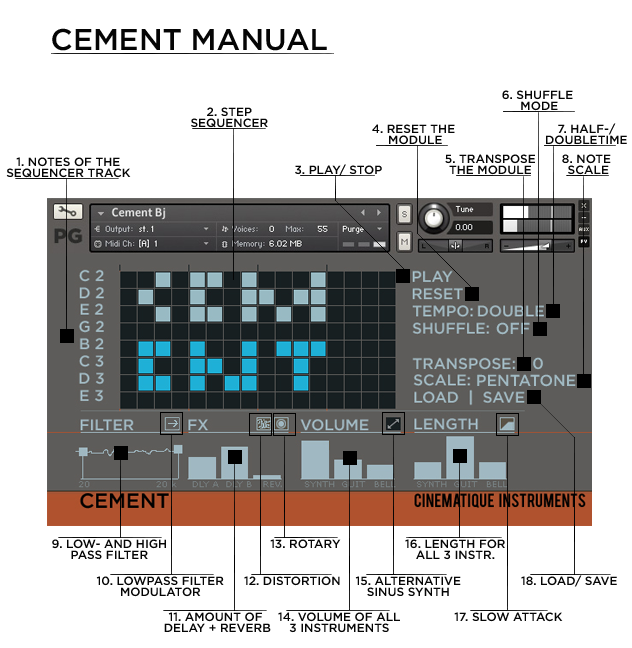 For changing the entire sound character, Cement provides plenty of options to modify the sound to your very own requirements: lowpass- and highpass filter (with a random high pass modulator), distortion- and speaker switches, an alternate sinus sci-fi sound, separate length settings and separate slider to set the amount of two delays and a reverb. Cement runs in stand alone mode as well as in-sync to your host application. 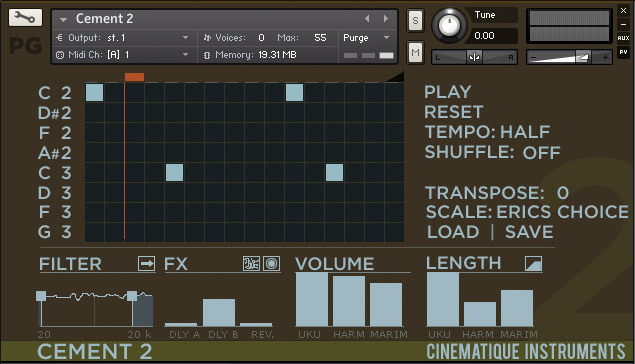 Just easily click on the 16th note of your choice to play the sound – a second click increases the velocity level – a third click removes the note, then click on the note symbol to change its pitch. That´s it! Beside that Cement provides 4 different kinds of scales, transposing functions, shuffle- and tempo modes and finally load/ save switches to save/recall your entire setting of Cement.. There a two types of Cement instruments. A tutorial about "How to use Cement !"